JPdL is thrilled to announce that the opening of JPdL West, its sixth Canadian office in Vancouver, British Columbia. 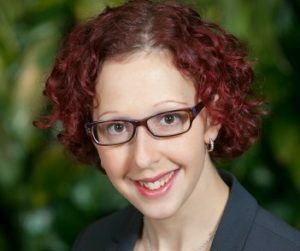 The new Director will be Shira Gordon, CMP, whom we welcome with great excitement to head up our operations in Western Canada. Shira is a dedicated individual with a strong passion for event and meeting management and over 10 years experience in the meetings, conference and event industry in Vancouver. We welcome Shira to bring her knowledge and experience to JPdL West, Destination & Event Management in helping JPdL to continually grow its operations across the country. Jean-Paul de Lavison, CMP and President-Founder of JPdL, Canada’s largest DMC, Event, Meeting and Conference Management company Indicates that “JPdL has been operating programs and events in Western Canada for several years but due to an increase in requests from clients, we judge this to be an excellent opportunity to open an office in Vancouver to service these growing needs”. JPdL was co-founded in 1982 by brother Jean-Paul de Lavison, CMP, and sister, Anne-Marie de Lavison and has since established offices in Montreal, Toronto & Niagara, Quebec City, Ottawa and Mont Tremblant.